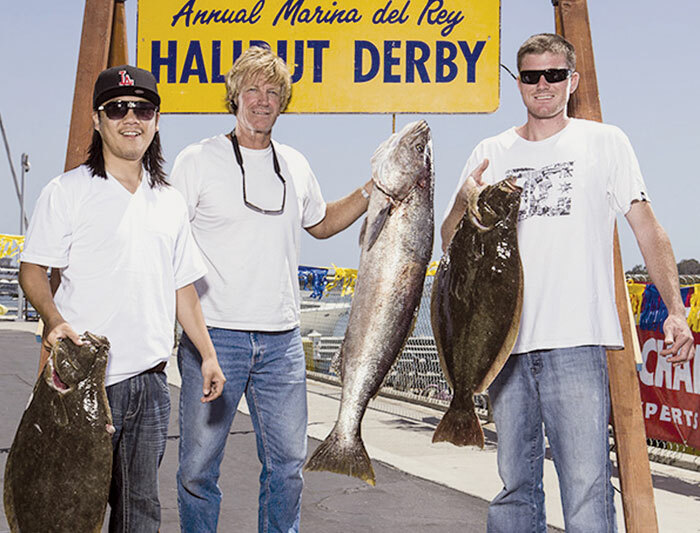 MARINA DEL REY — Marina del Rey Anglers will present the 38th annual Marina Del Rey Halibut Derby June 8-9, billed as the longest-standing fishing tournament on the West Coast. The derby’s multi-species format helps minimize the effect on the local halibut population, along with a weight bonus for verified release of live fish. With the multi-species format, the heaviest white seabass, bag of five calico bass or bag of five rockfish could win over a halibut. All proceeds from the event will go to fund the organization’s Youth Fishing Program, which takes hundreds of disadvantaged youths fishing each year; and the White Seabass Grow-Out Program, which releases thousands of juvenile white seabass into SoCal waters every year. Fishing starts at sunrise on Saturday, June 8. All fish must be submitted for weigh-in between 2 and 5 p.m. Sunday’s fishing begins at sunrise, with the final weigh-in between noon and 3 p.m., when the derby ends. Dinner will be served at 4 p.m. Sunday, with awards and a raffle to follow at 4:30 p.m. The derby’s top 10 anglers will take home valuable prizes — and the top prize is a three-day fishing package with four days of lodging at Alaska’s Sitka Point Lodge, plus a $500 travel voucher. Anglers can also enter a jackpot for a chance at an additional $2,000 (based on 200 entrants) along with the vacation. In addition to the general entry competition, there will be team, women’s and children’s division competition, with prizes for the top three anglers in each category. The event raffle will include great prizes, including rods, reels, trips, apparel and other items donated by the event’s many sponsors. For more information, visit halibutderby.com.